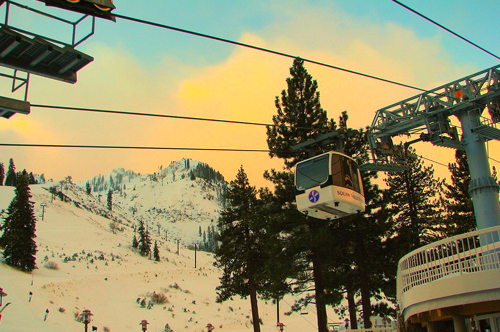 I have been skiing Squaw Valley for nearly twenty years now. This is the mountain I call “home” and where I spend most of my skiing days. Some days are better than others due to the weather factor… as it's something we can't always control. What we can control, though, is WHAT we ski at Squaw. 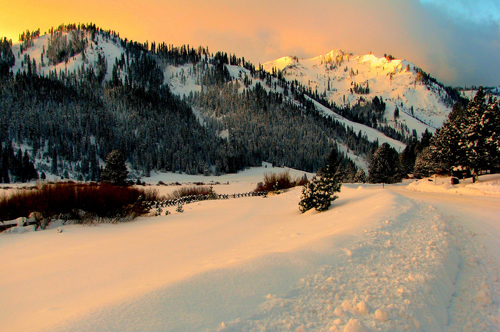 Squaw Valley terrain, undoubtedly offers some of the best skiing not only in Tahoe, but in the world. World-class expert to extreme level terrain is chair-accessible (or requires only a short 5-15 mins hike). Fingers, Palisades, Mainline Pocket runs are not only fun to ski, but will earn you plenty of “GNAR”* points because they are well visible to the crowds. Advanced skiers can spend days lapping west side of KT22, Chute 75 or West Face are long enough runs with sustainable steepness to burn anyone’s legs. Plenty of terrain for intermediate skiers too, with Shirley Lake zone leading the way. With an average snowfall of 450 inches every winter, it seems like we should be set for winter after winter of endless fun. The 2016-17 season even lasted all the way through July. Yet more often than we would like, Mother Nature throws some jabs at us and does not seem to be delivering on time…it does deliver eventually, most of the time, but it’s often hard for us to wait, isn’t it? 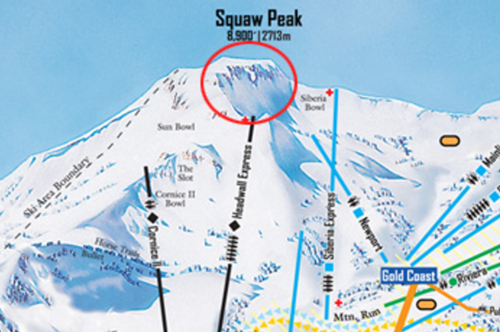 So what to do/ski at Squaw when the weather is not permitting to open the entire terrain? Believe it or not, there are some workarounds. Let’s talk about few. The winner “hidden” gem this season, by far, has been the “Reverse-Traverse”. Once at the top of Siberia chair, skiers traverse to the right, staying as high as possible or just simply following well visible traverse tracks all the way across Siberia bowl until the reverse slope starts bending upward. Take off your skis and boot up or just begin sidestepping. About 5-7 minutes of this exercise will bring you right to the top of Headwall Chair, which is obviously not running currently. From there you ski as you would if the chair was running. Why would they NOT run the chair, a normal person would wonder. There are two main reasons. One is that the ramp at the bottom of the Headwall chair requires substantial amount of snow to be built in order to load the chair. And the second one, not so obvious to many, is that Squaw mechanics must be able to access the top of a chair by snowmobile. And in this particular case, they travel via Siberia bowl, which a lot of times (like so far this season) does not have enough snow for the snowmobile to pass. Download a Squaw trail map. Another popular workaround is skiing Granite Chief zone when Granite Chief chair is not running. It can be achieved by a couple of ways. The first and most popular way is by traversing high all the way across Shirley bowl (skiers’ far left of the chair) and over the Shirley Chutes then into the lower part of Granite Chief zone. It is a somewhat long traverse for a short run, but when not much is open it can be a nice alternative to Shirley runs. Another way to ski the Granite Chief zone is via Emigrant chair and then ski to the back side when the gate is open. Sometimes you get to ski not only the famous The Attic run, but pretty much the entire Granite Chief zone itself. There is one more “hidden run” that the Shirley Lake chair has to offer, but this time you will be traversing to the skiers’ far right, all the way pass Solitude chair and dropping into the Rainbow Bowl on your left. The bowl is often great place to ski when other terrain is closed due to the wind. The snow at the open bowl gets to moved around by the wind, which creates some nice wind-buffed terrain. Make sure to keep to the left through the trees and rocks after you skied the bowl to end up back at the bottom of Shirley Lake chair. Finally, the often overlooked groomer is the Resort Run off the Squaw Creek chair. It’s particularly useful when the upper mountain is closed due to the weather as it has reliable snowmaking, even in lean years. And due to its predominantly southern exposure it is often one of the first runs on the mountain to get softened up after a nightly freeze. To get there, take Red Dog chair and go straight towards Lake Tahoe beckoning in the distance, then just follow the groomer as it winds its way down the mountain. Be careful with the last pitch, it is steeper, and it faces north and can be firmer than the rest of the run. 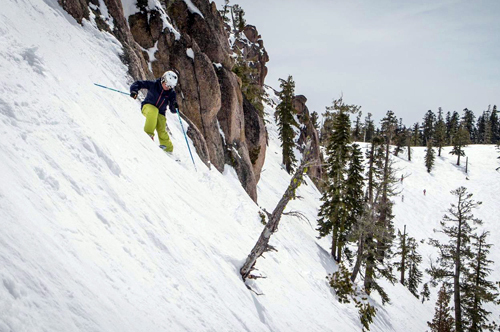 Squaw Valley is a unique mountain, with some creative skiers always looking for options. If you can find your way around, you can join in on the fun… even during the low snow periods. Special thanks to Seva Fridman, a California 89 Ambassador, for this great guest blog post. Read more about Seva and our other California 89 Ambassadors here.